Both sites will immediately cease manufacturing; the company will exit both sites as soon as possible. 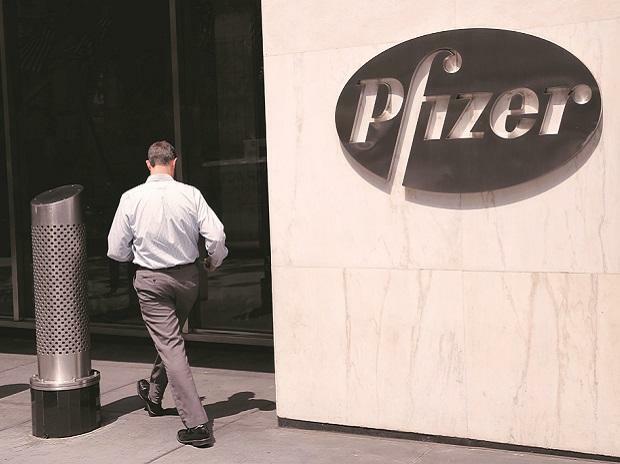 US pharmaceutical major Pfizer has indicated to its employees that the company might look for a buyer for the Chennai and Aurangabad plants it has decided to shut because of non-viability. In a communication to the staff at these plants, where 1,700 people are currently employed, the company has also promised a generous severance package. “While we are open to exploring all options, including site sale, at this moment we believe a sale that retains colleagues is unlikely. Hence, we are offering an attractive financial-support scheme,” said the firm’s spokesperson in response to a query. In an internal communication, a copy of which was reviewed by Business Standard, the company said there was significant benefit for the employees who were signing up early for the financial scheme, which will be significantly higher than the legal requirements. Pfizer also said it had conducted a thorough evaluation of the Irungattukottai plant in Chennai and the one in Aurangabad, and concluded that due to a very significant long-term loss of demand manufacturing at these sites was not commercially viable. Both sites will immediately cease manufacturing. The company will exit both sites as soon as possible. The Chennai plant has 1,000 employees, and the one had Aurangabad has 700. When the plants — producing drugs only for exports — are shut, they will be affected. But, there will be no impact on Pfizer’s listed Indian subsidiary, as it is engaged in domestic formulations. The two factories are part of Pfizer Healthcare India, which is a subsidiary of Pfizer, USA. The Irungattukottai plant was producing beta-lactam antibiotics. The Aurangabad facility was manufacturing penicillin and penem API. These sites were built by Orchid Pharma, which went bankrupt. Pfizer said its research and development (R&D) facility in Chennai will continue to operate as usual. The company had acquired it, along with the two plants, in 2015 in a $17-billion global acquisition of Hospira. Financial services firm IIFL says a key lesson for the pharmaceutical sector in this case is to not downplay the significant impact that regulatory non-compliance can have on operations. The firm noted the Irungattukottai plant had been facing regulatory issues from 2011 and received a warning letter from the US Food and Drug Administration in 2013. Various observations had followed till as late as July 2018. The fate of the Aurangabad plant depended on the Irungattukottal plant due to the production arrangement. Hence, Pfizer has now decided to shut down both. “Companies such as Alkem Laboratories (with observations at its Daman plant), Lupin and Dr Reddy’s Laboratories (outstanding warning letters), IPCA and Wockhardt (outstanding import alert), in particular, should be careful. We already know about Sun Pharmaceutical’s struggle to get US FDA’s clearance for its Halol plant from 2014 to 2018,” it said. Lately, Indian pharma companies have been increasingly receiving Establishment Inspection Reports (EIR) and clearing USFDA audits, indicating that compliance has gone up, it added. However, the investors should be wary of companies which have shown a continuous track record of non-compliance with regulatory agencies. “Repeat observations and warning letters should be taken extremely seriously by companies, their management, and investors, which has been emphasised enough by Pfizer’s shutdown of the two plants,” added the report.